As we review the shortcomings of the last season, 2011-2012, we look forward that these faults may inspire and motivate us for 2013. 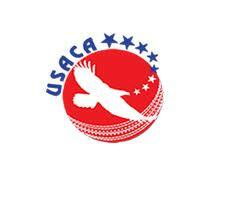 Right at the top, United States of America Cricket Association (USACA) failed to host a single domestic tournament. The last tournament hosted by USACA was the Women’s National Championships in New York summer 2011. Last Men’s tournament, National Twenty20 (T20) spring 2011 in New Jersey, Atlantic Region. For youth tournaments memory does not do justice. National under fifteen (U-15) comes to mind. In 2011 USA participated in Under Nineteen (U-19) World Cup Qualifying without a single national tournament. The event closest to a tournament or a trial was America’s five-match walloping by Kraigg Brathwaite and the West Indians. In 2012 Team USA, journeyed to Dubai to contest World T20 qualifying and like America’s qualification to Division Three there were no trials or release of a trial squad. As T20 bazaars continue to spring across the planet, USACA are perched on the 50 states hosting T20 fanfare of an American pedigree. However these dreams and ambitions have come at a cost. Without National Tournaments, Trials and USACA sanctioned tournaments; morale at the domestic level continues to remain at an all time low. Yes American cricket lovers may be buoyed by the exploits of Malaysia, but the euphoria, which is brought about by advancement, is not re-vibrated across the populous. Bermuda is approximately six months away with most American cricketers hibernating throughout winter. Dear USACA what are the plans for the spring trip to the Northern Atlantic? A weekend tournament, which serves as a rub stamp screening for potential picks? A privately held trial where only the players and those in close circle know who are under consideration? Will there be a transparent event where a committed American coach rather than a global tour guide screens the players selected? There is an inherent need for programs for our national players one that is documented and transparent. Looking at the Caribbean, all trials are published with the scores, results, dates and locations. As for the Shah of USACA, Robin Singh that is, as he continues to reign, his commitment leaves lot to be desired. Singh is currently the Dada with Mumbai in the IPL, far reaches for ICC Division Three, but one can safely say the Trinidadian born coach is anything but a tour guide for the Indians. Brooklyn League began the season engulfed in a dispute with as much as 10 teams from the 18 team league. The disputing teams, penalized for the failure to participate in the 75th anniversary celebrations. In April with mere weeks to go before the first card of the season, the core teams including League Champs Punjab and Twenty20 Winners Jinnah purpose to remit the financial participation, in hope of contesting the 2012 season. With talks at a standstill the group retained legal consult leading to arbitration. Brooklyn League was contest with only nine participants as justice took its course, albeit without the reigning champs. American League was summoned to the halls of the justice system as St. Catherine seeks retribution from a league decision against them. St. Catherine played five foreign-based players exceeding the leagues limit of two. St. Catherine’s injunction halted the league indefinitely mid August leaving some of New York’s best cricket grounds dormant at season’s end. Umpires again faced the brunt of player discord in 2012. Falcons verbally abused the officials on more that one occasion. So too Liberty Sports were forced to expel then club captain due to unsporting conduct directed at the umpire. Then there were the umpires who continued to cut matches, cutting as much as 10 overs for a 15-minute delay. Literally creating multiple leagues in a 40 over competition. In less that three short months 2013 will be upon us, what action plans, will American cricket take to lift the game for the upcoming talent? Talent as good as anywhere in the world. This entry was posted in Features, News and tagged American League, Brooklyn Cricket League, Falcons, Liberty, Robin Singh, USACA. Bookmark the permalink.